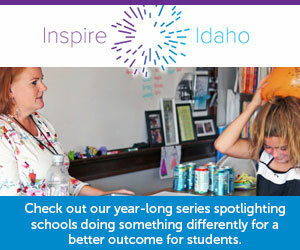 Columns written about education policy and practice by Idaho teachers and administrators. Learning a foreign language is a challenging task and we should show more kindness to those who are trying, especially to our new community members who are just trying to survive here. This is an innovative approach to provide access to affordable college opportunities beginning in the seventh grade. The program is built around multiple assessments that take into account different learning styles and work values that also helps students decide what they want to do. When a student of Mexican descent sees those teachers in costumes promoting the degradation of the Mexican culture they receive the message that they are not welcomed. When elected, I plan to request a “needs-based” budget, one that clearly identifies and then fully funds the needs of all Idaho children — equally and without discrimination. Public education in Idaho works because it is a system-wide approach that is holistic, efficient and effective. Approve a project to build a new high school because West Ada School District is bursting at the seams. Literature is access into a greater wealth of experience; we learn about people and we learn about the world; the real world, not the filtered version we see on social media. We can’t stop growth and voting against school bonds as a political statement is not what’s best for students. It takes everyone working together, everyone on the same page, and everyone having the same goal in mind: protect our children. Employers need skilled workers so they are partnering with education to make sure the talent pipeline is producing the workers they need.